Kinross House – Winner of the HHA Restoration Award 2013. Winner of the Historic Houses Association and Sotheby’s Restoration Award 2013. The Historic Houses Association and Sotheby’s are delighted to announce that the 2013 Restoration Award has been awarded to Kinross House, Scotland’s first neo-classical Palladian mansion. 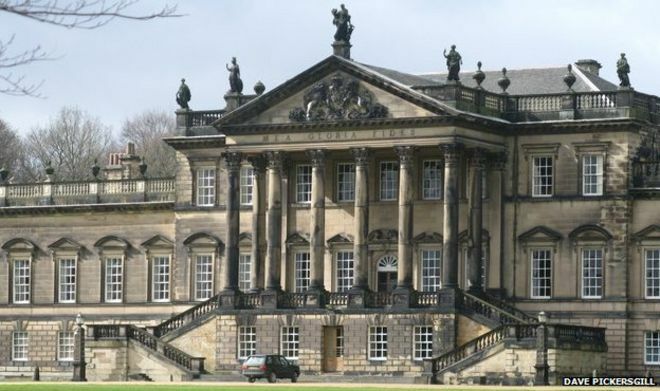 Built in 1685 by Sir William Bruce, one of the foremost architects of the classical form, the historic house was in need of extensive restoration when its present owner, Mr Donald Fothergill, acquired the property in 2011. In a labour of love, Kinross House and Gardens have been saved from disrepair and meticulously restored to their former glory. Six other applicants from across the UK have been commended or shortlisted for this year’s Award. Please see PDF for details (link below). The entire roof, every single pipe, and every single wire in the 55 room property had to be replaced. Working with sensitivity and respect, and using traditional products and craftsmanship wherever possible, the restoration team remodelled every room drawing inspiration from the house’s own history, historic furniture and artworks. The project also enabled parts of the interior of the house to be completed for the very first time – such as the pediments above the door and the fireplaces in the Grand Salon – elements which Sir William Bruce had been unable to finish by the time of his fall from royal favour and financial ruin. In line with Sir William Bruce’s vision for the house 350 years ago, the original seventeenth century garden designs have also been reinstalled – restoring the long lost historic views, geometries and horticultural plans which were so integral to Bruce’s neo-classical design.